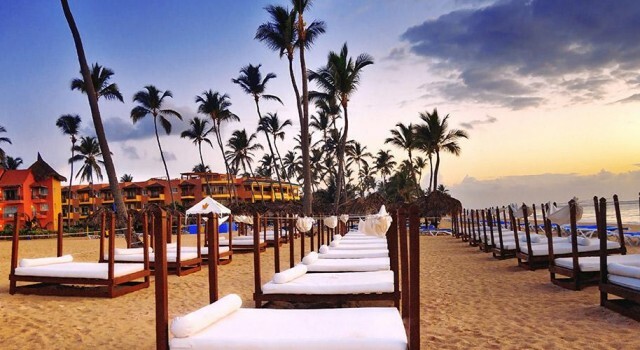 Today’s hotel deal is probably one of the best offers we have ever found, luxury suites in an adults only environment on the beaches of the Dominican Republic and for a great price. If you book the Punta Cana Princess All Suites Resort and Spa now for dates through mid fall, you can get suites from $96 a night. This 5 star all suites adults only hotel is located on the famous Bavaro Beach of the Dominican Republic. 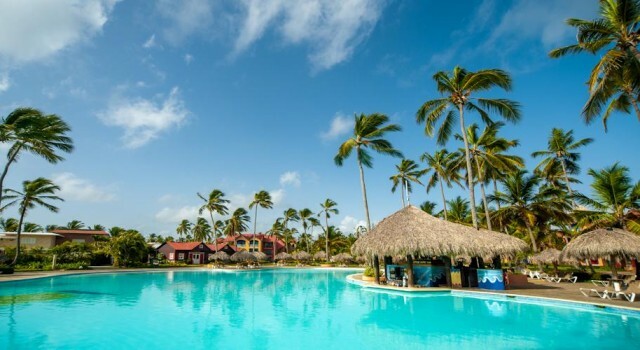 Punta Cana Princess Resort and Spa features its own beach with powdery sand and crystal blue water and is about 25 minutes away from Punta Cana International Airport. There are 270 deluxe suites and honeymoon suites at the beach resort. Deluxe suites have two twin beds or one king bed, bathrooms come with jacuzzi bathtubs and standard amenities at Punta Cana Princess Resort and Spa include hair dryer, iron with board, flat panel TV air conditioning with ceiling fan, in room safe, coffe maker, private balcony, two phones and radio alarm clock among others. This is a 24 hour all inclusive hotel where you can get all meals, snacks, alcoholic and non alcoholic beverages non stop. Guests at Punta Cana Princess All Suites Resort and Spa Adults Only enjoy butler service on the beach, access to the fitness center with sauna and jacuzzi, non motorized water sports, land sports including tennis and archery, scuba lesson, free Wi-fi in the lobby, nightly entertainment and shows, access to the beach front mini spa and access to all the amenities of two neighboring sister resorts. Among the five on site restaurants and three bars you will find a steak house, Italian restaurant, buffet restaurant and even La Petite Fondue with Swiss cuisine. The spa of Punta Cana Princess Resort offers dozens of treatments, massages and other relaxing services. 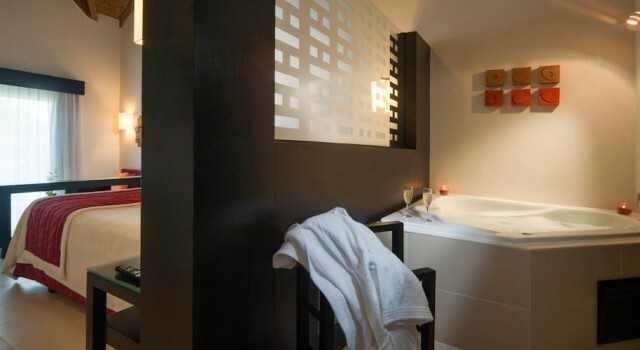 It would be very hard to find one more hotel for such a good price and with such luxurious amenities and services. Select some travel sites that you like and trust and then enter your preferred check in and check out dates as well to compare the prices of tens of other beach resorts from the Punta Cana area.